Never Enough Nails: Adorable Crystal Bows from Born Pretty Store! 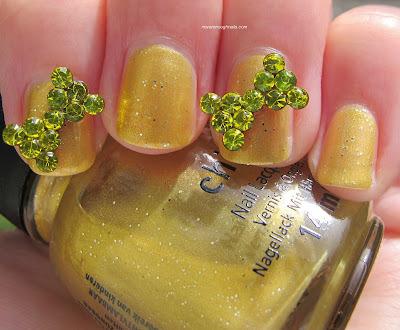 As soon as I stumbled across these adorable yellow crystal bows on Born Pretty Store, I knew I had to have them!! I like to peruse Born Pretty Store for interesting and different nail art ideas, and these bows certainly qualify! Occasionally, I like to try out some wild nail looks that are not at all practical and really would only last you for a party or special event. These bows are definitely not practical to wear for 4 or 5 days, but for an evening (say a Halloween costume party? ), I would do it!! 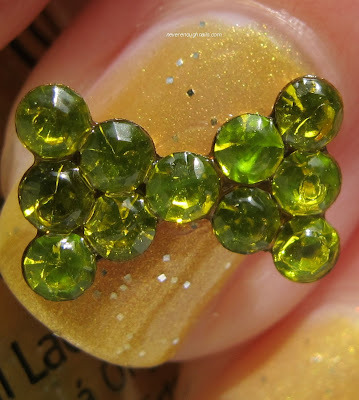 I used China Glaze Champagne Bubbles from last year's holiday collection for my nail color. To take these pictures, I just used an extra blob of top coat on my nail and on the back of the bows to attach them to my nails. If I were wearing these for an evening, I would use a dab of nail glue (also available at Born Pretty Store) or maybe even Elmer's Glue. 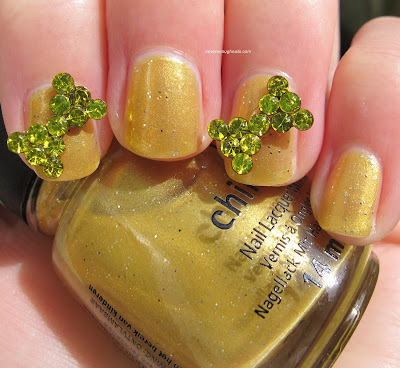 Impractical as they may be, I LOVE these yellow bows! If wearing them on your nails doesn't sound like fun, you can also use them to decorate various things. I'm thinking about decorating a little box that sits on top of my Helmer with these cuties! 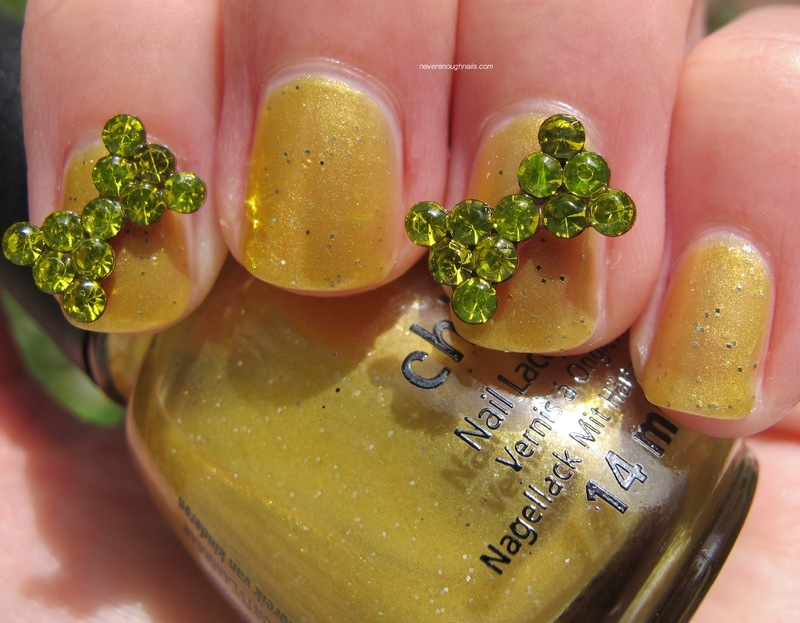 These yellow gold crystal bows and more nail art goodies are available online at Born Pretty Store. Don't forget to use the code ERJ61 for 10% off of your order!! Definitely impractical but oh how I love them! Perfect for a party, right Reb? Glowstars- That's exactly how I feel! Not for daily wear, but I adore them! !